The opening of the Tjati Decline at Carrapateena in November 2016. Picture: Dan Schultz. A potential $A1.3 billion expansion of the South Australia’s second-largest copper mine has passed its first hurdle. 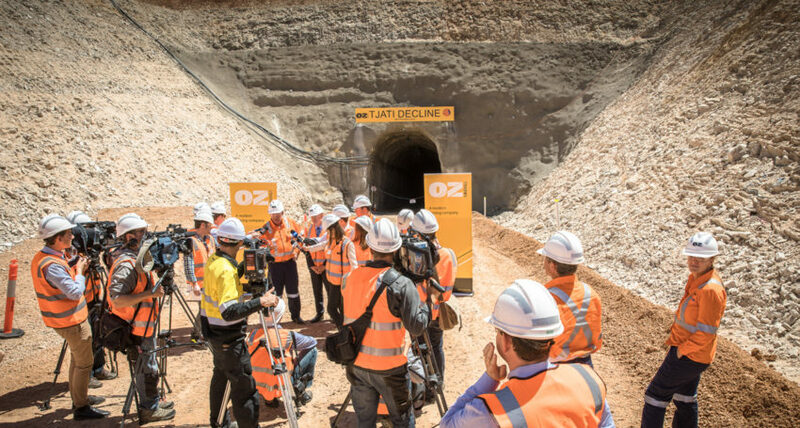 In a statement to the Australian Stock Exchange this morning, mining company OzMinerals said it had completed a scoping study into a potential expansion of its Carrapateena copper mine, located about 470km north of Adelaide where the company is based. According to the scoping study, the Carrapateena Block Cave Expansion would more than double the throughput of the mine, which is currently under construction, and require pre-production capital of between $1 billion and $1.3 billion. It would increase copper production from the year 2026. OzMinerals will now progress the project to “pre-feasibility” stage. Block caving is a mining technique in which an ore body is undermined and allowed to progressively collapse under its own weight. “A block cave expansion of the lower portion of the current Carrapateena Sub Level Cave has the potential to increase average life of mine copper production from 65,000 tonnes per annum to ~105,000 – 125,000 tonnes per annum from 2026,” said OzMinerals CEO Andrew Cole. He said transitioning from the sub-level cave to the block cave expansion would allow the mining company to focus on the higher-grade ore at the top of the body (sub-level cave) and the bottom of the body (block cave expansion), prioritising these over the lower-grade ore in the centre of the body. Cole added that the construction of the sub-level cave was on schedule, with first production due to begin in the final quarter of this year and that the block cave expansion pre-feasibility study was due to be completed by the middle of next year. The mine is second in size to the state’s largest copper mine, BHP’s Olympic Dam, the world’s fourth largest copper resource. 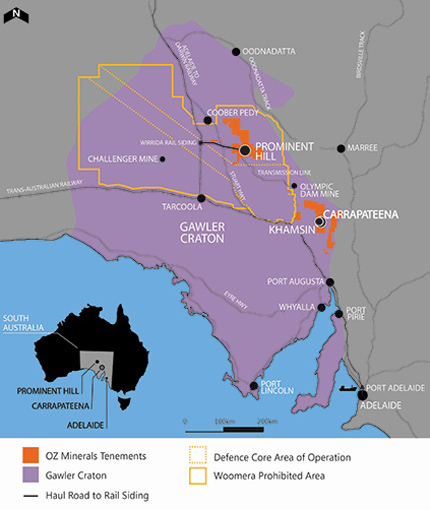 Oz Minerals also operates the Prominent Hill copper/gold mine in South Australia’s north. South Australia is a globally important producer of copper, uranium and zircon. The state also produces iron ore, zinc, lead, silver, industrial minerals and extractive materials.